A glittering host of galaxies populate this rich image taken with ESO’s VLT Survey Telescope, a state-of-the-art 2.6-m telescope designed for surveying the sky in visible light. The features of the multitude of galaxies strewn across the image allow astronomers to uncover the most delicate details of galactic structure. 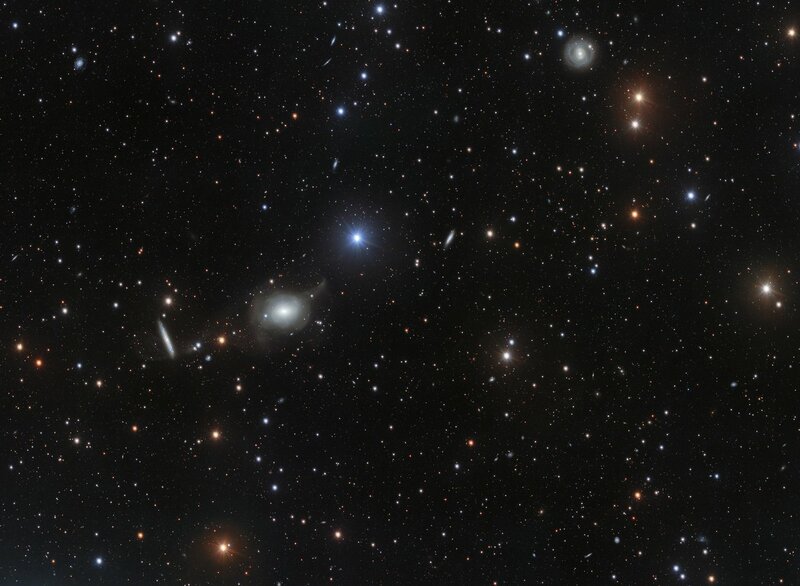 Whereas ESO’s Very Large Telescope (VLT) can observe very faint astronomical objects in great detail, when astronomers want to understand how the huge variety of galaxies come into being they must turn to a different sort of telescope with a much bigger field of view. The VLT Survey Telescope (VST) is such a telescope. It was designed to explore vast swathes of the pristine Chilean night skies, offering astronomers detailed astronomical surveys of the southern hemisphere. 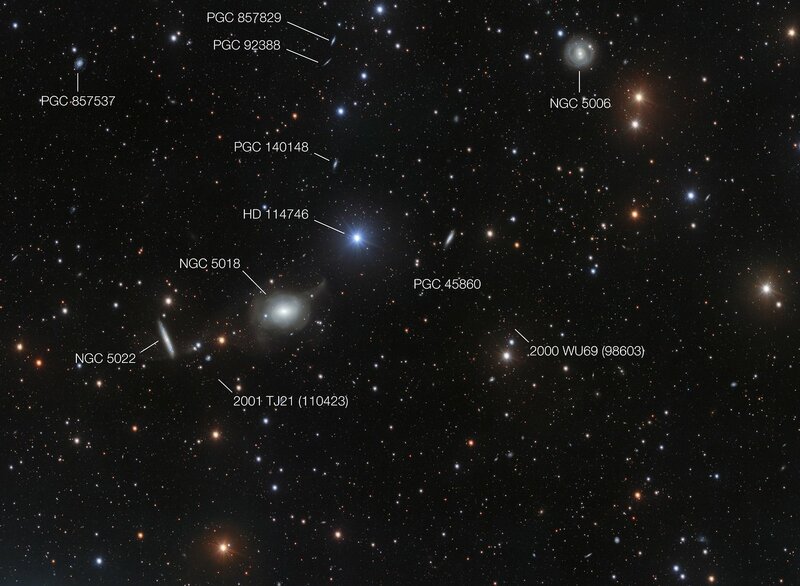 The powerful surveying properties of the VST led an international team of astronomers to conduct the VST Early-type GAlaxy Survey (VEGAS)  to examine a collection of elliptical galaxies in the southern hemisphere . Using the sensitive OmegaCAM detector at the heart of the VST , a team led by Marilena Spavone from INAF-Astronomical Observatory of Capodimonte in Naples, Italy, captured images of a wide variety of such galaxies in different environments.